Pretty quiet weekend for the internationals. Dorian Babunski scored a winning goal in Japan, Ilija Nestorovski got robed for a goal by a teammate so he was awarded an assist, Leonard Zhuta picked an assist as well, Elif Elmas played the big Turkish derby, while Goran Pandev got standing ovation at Giuseppe Meazza. Edis Malikji and Ardian Cuculi were starters for the hosts and played all minutes, the same did Artim Polozhani, Goran Siljanovski and Muhamed Useini for Flamurtari. Furthermore Goran and Muhamed received a yellow card apiece. Eventually Flamurtari had the better end and grabbed three points on the road. Marjan Altiparmakovski opened on the left wing for the visitors and played 56 minutes, whereas his teammate Bojan Najdenov began in attacking midfield and played almost the entire game as he was replaced in the 1st minute of stoppage time. Egzon Belica played the whole match for Partizani and was part of a defense that kept a clean sheet, while his teammate Besnik Ferati didn’t make the matchday squad. Bojan Gjorgievski played the entire game at right-back for Teuta and picked up a yellow card in the 81st minute, while his teammate Bobi Celeski served as the reserve goalie. Meanwhile, Dejan Blazhevski wasn’t called up by Tirana, whereas Sedat Berisha spent all minutes on the bench. Daniel Georgievski opened at right-back for Newcastle and played until the 79th minute when he made way for Ben Kantarovski, a player with origins from Macedonia. Eventually, Newcastle suffered a narrow loss at home. Tome Kitanovski was a starter for the visitors and played all minutes in the draw away to Zirə. Gjoko Zajkov spent the entire game on the visitor’s bench. Emil Abaz did not make the squad for the hosts. Krste Velkoski played the full game for Sarajevo in the big Bosnian derby against Željezničar that his club won with 2:1. Djelil Asani played the entire game for the visitors. Darko Glishikj did not make the squad for Septemvri. Darko is still awaiting his league debut after debuting in the Bulgarian Cup last week. Neither Luka Nakov nor Stefan Ashkovski made the squad for the visitors. Arijan Ademi played the full game in the away win for Dinamo. For the hosts, Muzafer Ejupi was once again left out due to his injury. Mirko Ivanovski started the game on the bench and played the last 20 minutes for Hajduk. Agron Rufati got relegated to the bench for this round but already in the 13th minute he got to enter the game after Mali international Mohamed Traoré got injured. Leonard Zhuta played the full game and assisted the last goal for Rijeka as they demolished Rudeš with a 5:1 victory. Meanwhile, Darko Velkovski was once again out of the squad due to an injury. The visiting side with Davor Zdravkovski playing 90 minutes and Kire Markoski out of the squad, managed to took all 3 points from Ivan Trichkovski and Daniel Mojsov team. Mojsov is back to the bench but did not feature in this match, while Trichko played the whole match. Dushko Trajchevski did not play for the losing side. Ezgjan Alioski played the whole match for the winning side as left winger. With this win Leeds are back to the top of the table in the Championship. Mite Cikarski played the whole match for the hosts in this goalless draw. He played as center back. Stefan Spirovski played 87 minutes for the home side. Kire Ristevski played the whole match for the hosts as CB. Boban Nikolov played the whole match in CM for the winning side. Risto Mitrevski played the whole match as CB for the winning side. His team defeated Ashdod, the team led by former U21 manager Blagoja Milevski. Goran Pandev was in the starting lineup for Genoa against his former club and was replaced in the 51st minute when he got standing ovations from the whole stadium where he used to play from 2009 to 2012 and won the Serie A, one Champions league title, a FIFA Club World Cup trophy, two Italian Cups and a Supercoppa Italiana. Aleksandar Trajkovski and captain Ilija Nestorovski played the whole match for Palermo and their team managed to win with a goal in the last minute. It was Nestorovski who recorded an assist for the winning goal although he would have been the scorer as his teammate stole him the goal. Dorian Babunski entered from the bench in the 73rd minute taking the place of Shūta Doi. A minute later his team equalized and seven minutes later himself scored the game winning goal bringing important three points to his team in the promotion battle. Denis Mahmudov entered the match in the 69th minute, but was unable to help his team avoid the defeat by last placed Groningen. Antonio Stankov started the match as captain of Dordrecht and was replaced in the 50th minute. Stefan Ristovski is still unavailable for Sporting because of injury. Filip Gligorov played the whole match for the home team. Marko Simonovski played the whole match for Sepsi, while Besart Abdurahimi wasn’t included in the away team squad. Ferhan Hasani was unused substitute for the away team. Zoran Danoski stayed on Radnik’s bench for substitute players. Aleksandar Todorovski played the whole match for the away team. Benjamin Demir wasn’t included in Spartak’s squad. 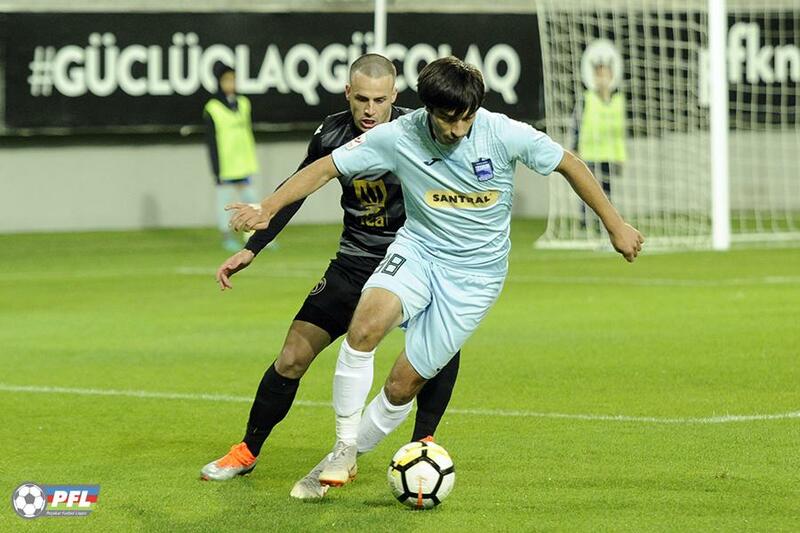 Milosh Tosheski was in the starting lineup for Zemun and was replaced in the 58th minute, while Dushan Savic entered the match in the 81st minute. Enis Fazlagikj played whole match for Žilina as well as Yani Urdinov for Ružomberok. Urdinov’s teammate Tihomir Kostadinov entered the field in the 78th minute substituting Dalibor Takač. Both our internationals Milan Ristovski and Medin Bajrami weren’t summoned by Krško for this game. Daniel Avramovski didn’t make the machday squad for Olimpija while Agim Ibraimi played for Domžale until 59th minute when Croatian international Tonči Mujan substituted him. Darko Atanasov didn’t play for Mura. Enis Bardhi spent all minutes on the field for Levante and he also received a yellow card in the 78th minute of the game. Stole Dimitrievski was unused substitute for Rayo. David Mitov Nilsson is still out of Norrköping because of back injury. With one round left his team is chasing leaders AIK for the title and next weekend’s matches will be decisive. Nikola Gjorgjev watched the game from the home team’s bench. Adis Jahovic started on the visiting bench and got to play only the last five minutes taking the place of Malian national team striker Mustapha Yatabaré. Elif Elmas played whole match for Fenerbahçe in the famous Intercontinental Derby and he was shown a yellow card in the 33rd minute of the match. He had a chance near the end to score a winner, but home keeper Fernando Muslera denied him the joy. Jani Atanasov remained whole game at the visitors bench. Stefan Jevtoski didn’t make the matchday squad for Arsenal.